When Animate Dead comes into play, if it's in play, it becomes an Aura with enchant creature. 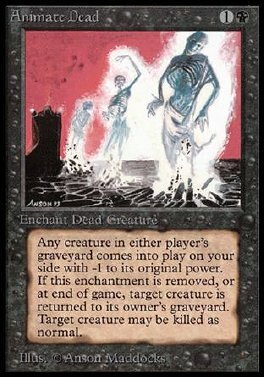 Put target creature card from a graveyard into play under your control and attach Animate Dead to it. Enchanted creature gets -1/-0. When Animate Dead leaves play, destroy enchanted creature. It can't be regenerated.